If you count on Auto Remarketing Canada's news from the pre-owned auto industry hitting your inbox every week, take note! There are a few steps you will need to take to ensure you keep receiving the e-newsletter and digital magazine after Canada's new anti-spam laws officially begin. Canada’s new Anti-Spam Regulations, or CASL, take effect July 1. “The intent of the new law is to deter the most damaging and deceptive forms of spam from occurring in Canada,” government officials explained when the legislation first came to light earlier this year. What does this mean for Auto Remarketing Canada and our readers? To continue receiving updates from your reliable source of pre-owned industry news and analysis as well as information on our annual conference, readers will have to opt-in and give consent to continue receiving the Auto Remarketing Canada e-newsletter and digital magazine. Readers should be on the lookout during this coming month for a variety of opportunities to ensure you don’t stop receiving the latest remarketing news. 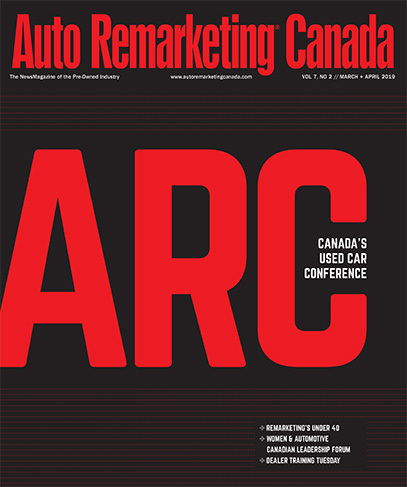 We hope that you will choose to continue read, learn and be a integral part of Auto Remarketing Canada. For more information on the new regulations, see www.fightspam.gc.ca. This new website serves as the single Government of Canada point of reference for credible and sanctioned information about the law. It will grow to include more detailed information for consumers and businesses.